A lot of people are intrigued by the Nokia’s new Windows Phone 8 device, with some even touting that it’s the next great smartphone. The Nokia Lumia 920, with its colorful polycarbonate casing and Windows Phone 8 OS, is a breath of fresh air in a market that’s mostly dominated by Android and iOS devices. If you want to get your hands on the Nokia Lumia 920 as soon as it hits shelves, you can try some of the Chinese sellers that are already taking pre-orders or Handytick, a German retailer promising a delivery date during the 3rd week of October, ahead of the actual Windows 8 OS launch. German website WPArea.dereports that the Nokia Lumia 920 will go out on October 16th. Handytick promises to deliver pre-ordered smartphones the following day, October 17th. However, their price tag on the Nokia Lumia 920 is a little steep at €749, close to a thousand dollars once converted. This is significantly more than the $512 that Chinese retailers are asking for. If Handytick’s price projection for the Nokia Lumia 920 proves to be true, then the Windows Phone 8 device may have a hard time getting people to pick it over the Galaxy Note 2 and the iPhone 5, both of which are expected to sell for a few hundred dollars less. Hopefully, Handytick’s price is just a wild guess and the Nokia Lumia 920’s non-contract price stays close to $500. 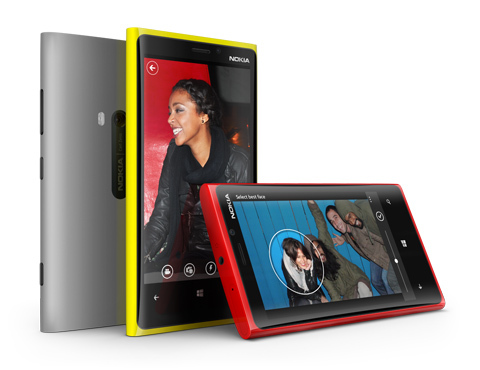 Will you still be getting the Nokia Lumia 920 if its price tag is close to $1000? What would your upper price limit be for the device? Discuss in the comments below!